A range of trays and kits that can be used with small generators on building sites, construction areas and field use. Whether small and portable or large and static, generators use fuel such as petrol or diesel to produce electricity. The Health and Safety Executive provides information on electricity and the safe use and handling of flammable substances such as petrol. 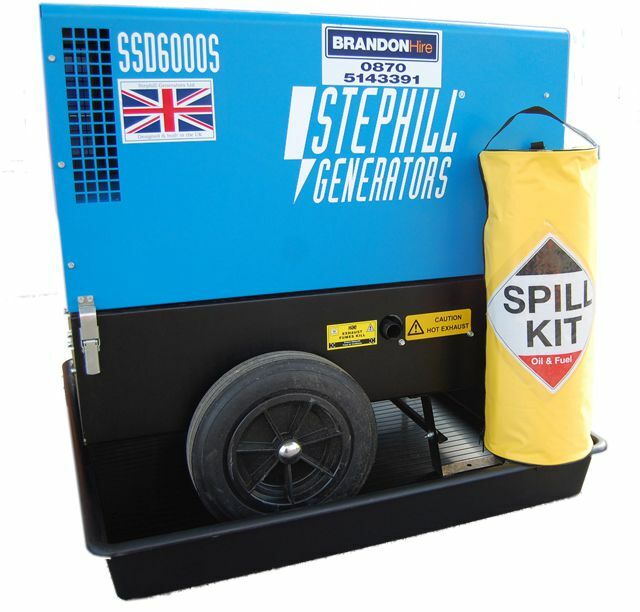 Whilst there is an emphasis on generators using drip trays, we feel the same rules would probably apply to any petrol, or diesel, driven machine such as water pumps, hand held tools and cement mixers. Just because these items might not be mentioned specifically it is highly likely they would be enforced if you were to have a spill whilst using, or storing, them. 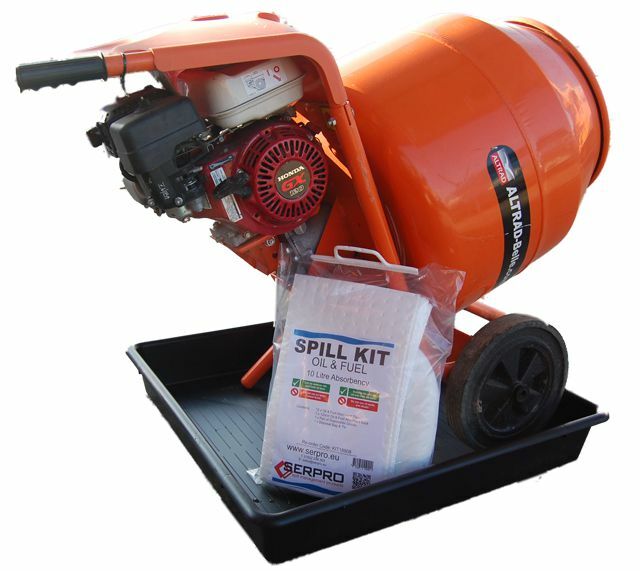 Where possible, set up your generator on an impermeable surface such as hard standing or a drip tray, well away from any drains or watercourses. 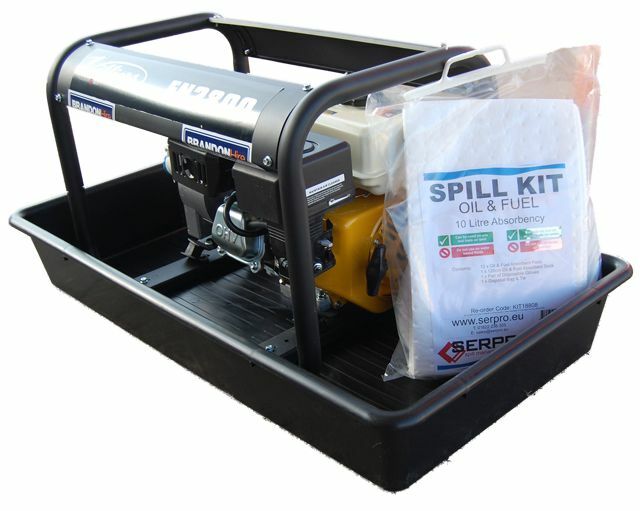 Always keep a spill kit available and use a bunded bowser for refuelling. Always place a drip tray beneath hoses or couplings. We carry a huge range of trays that will fit most generators, pumps,mixers and tools. If it is not listed here just give us a call and we will find a generator drip tray to suit your needs. Serpro Ltd Reg No: 06928424 - VAT No: 972 6045 09 - Other product and company names mentioned on this website may be the trademarks or registered trademarks of their respective owners. Company names mentioned as compatible with or similar are the trade names of the respective companies and are neither manufactured by, or endorsed by those companies.